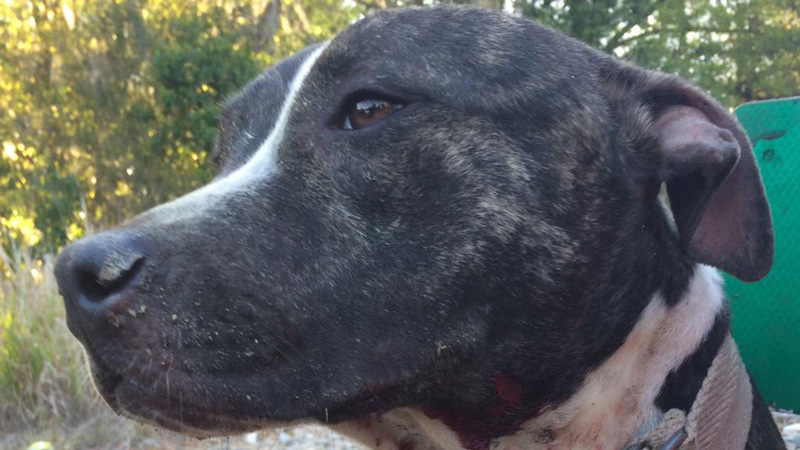 TAMPA, FL (KTRK) -- After she was shot twice, once in the neck and once above a shoulder, a dog will still survive. Police in Tampa, Florida found the mixed-breed dog tied to railroad tracks last night and rushed her to the vet, ABC affiliate WFTS-TV reports. "Really, after everything that this dog has gone through ... she's the sweetest," said Dr. Jamie Davidson. "I mean she's not angry with people. She's not growling. She's been really really good." Davidson said the dog, who is between one and two-years-old, would still need her front right leg amputated because of the gunshot wound. Tampa Bay Veterinary Emergency Center will cover the cost of treatment, which will run several thousand dollars. Once the dog is healthy, she will be spayed, vaccinated and set up for adoption. Officers have named the dog R&R.